I think these are actually trolleybuses. The last trams in Doncaster ran in June 1935 (to Brodsworth). The photograph must have been taken on the day of a race meeting. 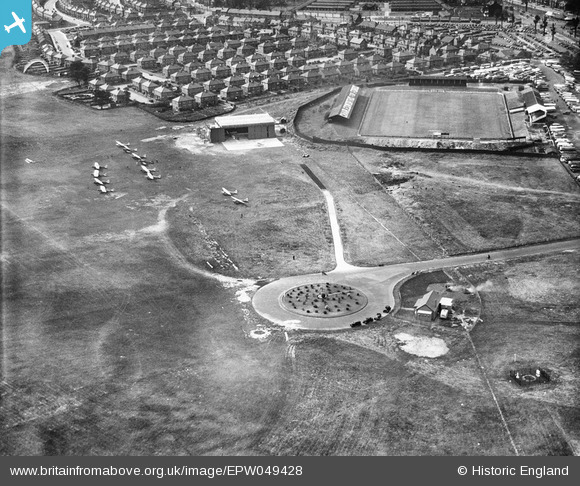 The racecourse is just out of shot to the right. Masses of cars and coaches and even a few trams parked up beyond the football ground. Perhaps the day of the 'Doncaster Cup'? Doncaster Rovers Football Club was founded in 1879. 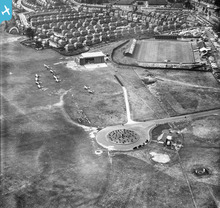 The club re-established here having lost its original ground to the army.